Published April 8, 2018 at 738 × 510 in Banderas Bay to La Paz. 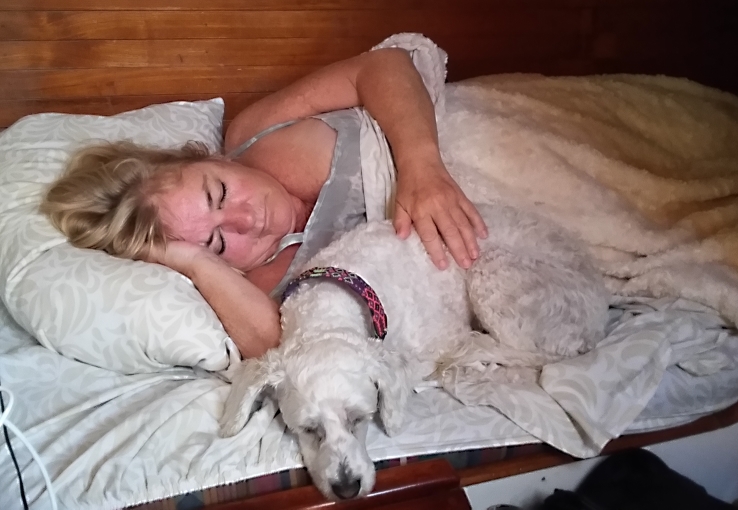 Lucy’s job is to sleep with whom ever is currently in bed–in this case Peggy is off watch during our crossing from San Blas on the mainland to Bahia Muertos on the Baja. Don’t tell Marley (Peggy’s pup).